The I34 and I34R compact impact crushers are the perfect solution for projects with small footprints but big requirements. These compact, mobile crushers are suited particularly to construction and demolition recycling, asphalt recycling and aggregates. 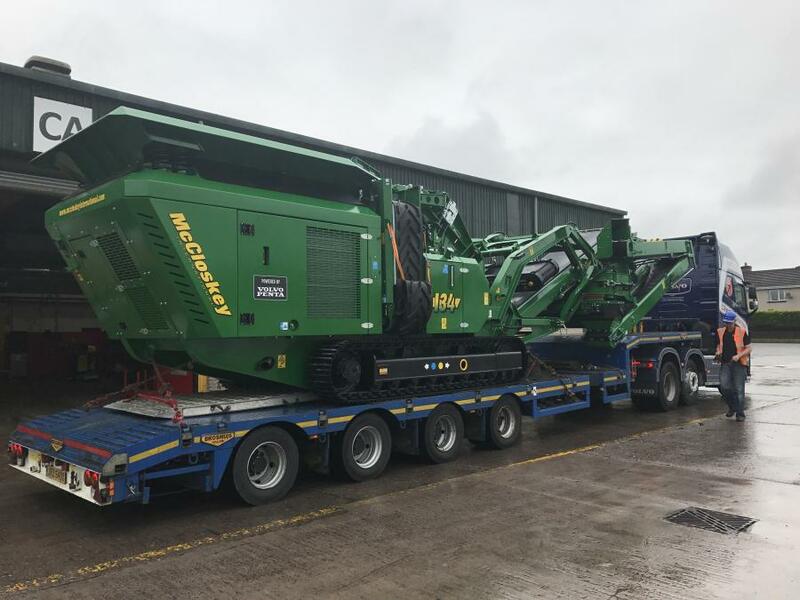 Following a successful advance viewing at Steinexpo 2017 in Homburg/Nieder-Ofleiden, Germany, McCloskey International has introduced a new line of compact impact crushers. Taking the original crusher line and transforming it into something even more flexible and productive, the new mobile crushers maximize the efficiency of any project site. Built to the same high standards as full-size crushers, the new compact models deliver convenience and choice to suit every customer's needs. McCloskey engineers have adapted the design to meet the evolving requirements of today's projects and operations by developing more compact products while maintaining the same high standard of McCloskey durability, reliability and quality, according to the manufacturer. The new impactors deliver high performance and expanded versatility in a highly mobile lineup to customers around the world. With their fast set-up time and ability to nimbly move around in tight spaces, the crusher's small footprint is uniquely suited to the recycling, demolition and smaller scale construction projects where space is at a premium, and maneuverability is key. The compact transport dimensions (less than 8.2 ft. [2.5 m] wide) allow easy transport from site to site. Setup is fast and easy, ready to work in just a few minutes. The new line boasts flexibility as the I34 crusher can convert to a recirculating impactor in just a few hours, according to the manufacturer. For maintenance ease, the vast majority of components are identical between models to simplify spare parts. Ground level access allows for quick service and maintenance, reducing the downtime for the operation. The impact crushers are available for orders immediately, with dispatch available in spring 2018.